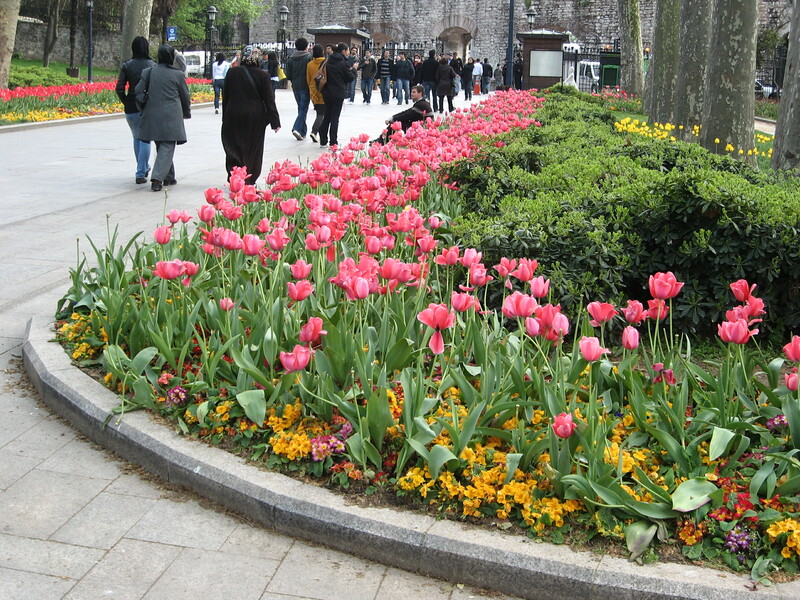 A set of the same photos all tourists in Istanbul snap in the Spring. But these are mine. She had no expression ready for so direct a glance and with a sense of failure she fluttered and dropped her eyes. She wondered if she were blushing. She had forgotten what it felt like inside when one blushed. –Iris Murdoch. An Unofficial Rose. 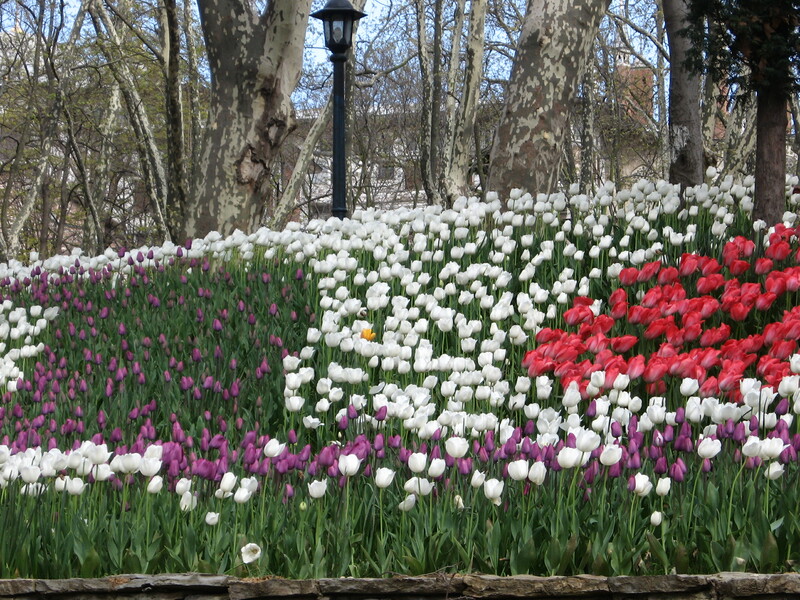 I am crazy about tulips! A lovely sign of things to come! Oh, my. What beautiful images. When I read “The Biblio-commuter”, I thought of the old J. Peterman catalogues with their little dramas attached to each item for sale. We read them as one would read scenes from a romantic novel. I still subscribe to the paper catalogue, but somehow the descriptions aren’t as good as they used to be. Enjoyed these very much. 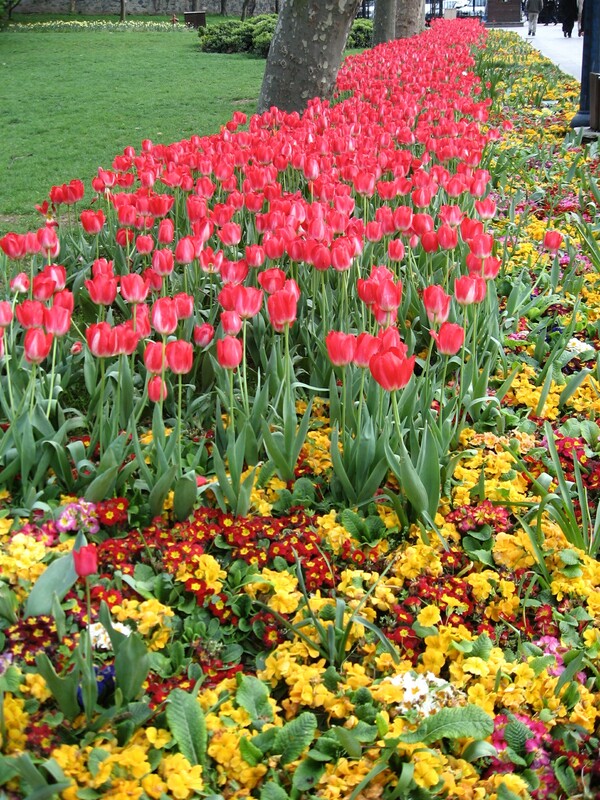 This entry was posted on April 15, 2013 by thenicethingaboutstrangers in Blogging, Europe, Happiness, Inspiration, Literature, Travel, Writing and tagged Iris Murdoch, rose, Tophane park, travel photos, tulips, Turkey.